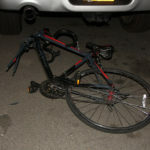 New York – A bicycle rider was struck and killed in a truck accident in the early morning last month. Police reports note that the accident victim was hit as the truck turned a corner into the man. The bicycle accident sent the victim falling to the ground and suffering with multiple extensive injuries. Officials say that the driver then left the scene of the truck crash but it is unclear whether or not he was aware that he had just struck a pedestrian. If it was, in fact, a hit and run accident, the driver can face even more serious criminal charges for a hit-and-run accident with injuries. Public safety advocates expressed significant concern about this crash and believe it is a case of wrongful death. They note that this same oil truck company has been involved in several previous fatal pedestrian accidents. The drivers were different in each of the prior deadly accidents but the question of proper safety training and negligent maintenance needs full investigation. You can read more about this deadly bicycle crash here. New York – The driver of a Mercedes car rear-ended a truck that was double-parked in the street just before 5:00 in the morning in the Harlem section of Manhattan yesterday. Reports indicate that the delivery man who was driving the truck was inside of a local business making a work delivery when he left his truck parked in the middle of the street. The driver of the car apparently didn’t see the truck and caused the rear-end collision. Her vehicle then veered across the road and crashed into a tree, causing massive damage. The front-seated passenger of the car suffered a severe head injury with fatal brain damage. He was declared dead in Harlem Hospital due to the accident injuries according to emergency department doctors. The man who was killed in the crash was identified as being from Jackson Heights in Queens, NY. The female driver also suffered facial injuries but is expected to survive. Police have arrested the woman on suspicion of drunk driving. While police will continue investigating the cause of the accident, this type of deadly motor vehicle crash will require an expert accident lawyer to determine fault. The truck driver may be considered negligent for leaving the delivery truck in the middle of the road, while the possible drunk driver may also bear fault. You can read more about the collision here. New York – A comparison in car and truck accident data from 2015 to 2016 involving city vehicles and employees shows some frightening results. The report shows that there was an over 10% increase in the number of collisions involving city municipal vehicles, including ambulances, fire trucks, garbage trucks, buses, city inspector cars and others, but excluding police cars. The most significant intensification in truck and motor vehicle crashes involved ambulances that are owned and managed by the FDNY. Ambulance accidents went up by more than 30% compared to last year. Unfortunately, further data regarding the numbers and types of accident injuries from these collisions has not been made available as of yet. New Yorkers have expressed concern regarding these new statistics, saying that this puts citizen’s lives and health at risk. They note that many of the city vehicles involved in these crashes are emergency vehicles that are speeding or reckless driving, leading to both more accidents as well as more serious injuries and deaths. An ambulance carries extra weight with all of the emergency equipment and the force of these accidents can cause irreparable damage. This holds true even more so for garbage and fire truck and bus accidents. Citizens are quick to point out that they appreciate the many emergency workers and city employees who do their work diligently and watch out for public safety. However, they demand that the city government and agencies work even harder to eliminate the dangers and problems that obviously still exist. 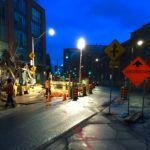 The city has reportedly worked to deal with the dangerous driver issue within their employees but even additional driver safety training has yet to solve the near-epidemic. Some experts wonder if the problem lies with the initial hiring and vetting process within the city’s agencies. Are they doing their due diligence to weed out reckless drivers and other hazards? Has the city done its part in preventing city officials from hiding behind their credentials and agencies when doing something illegal or dangerous? Citizen activists complain that many city workers speed, make dangerous U-turns and park in dangerous locations with impunity. Many questions are yet unanswered but one thing is clear – much more needs to be done to prevent further collisions, injuries and wrongful death. Check out this article for more on the increased city vehicle collisions. Ms. McCullough was 70 years old when she was struck and killed by a snow plow truck in February. She was crossing the street when the truck accident occurred, leaving her with fatal injuries. The woman’s two daughters were left heartbroken without their mother. They turned to the well-known accident law firm of Morrison & Wagner, LLP for advice. After full consultation on the case, they sued for wrongful death, contending that the truck driver was negligent and caused the crash. The demand for financial restitution explained that the pedestrian accident could have been avoided if the negligent driver was more careful and in better control of his vehicle. The skilled accident attorney successfully negotiated a settlement and the defendants conceded to compensate the accident victim’s family $200,000. If you or someone you know was injured due to someone else’s negligence, you have the right to contact an experienced injury lawyer.